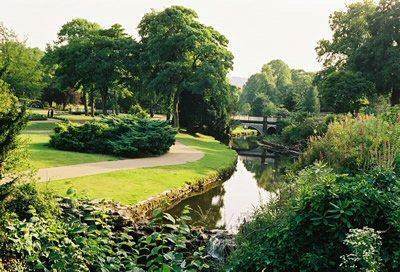 Buxton is the spa town known as the gateway to the Peak District. Famous for its spring water, its ideally located between Manchester, Sheffield, and Derby—easily reached from the North and the Midlands alike. There is a tourist information centre right in the Pavilion Gardens where the Wool Gathering will be held. If you’re thinking of coming to visit for the full weekend, or for a longer stay, there are plenty of B&Bs, guest houses and hotels in the local area. We recommend looking at the Visit Buxton website for more information. 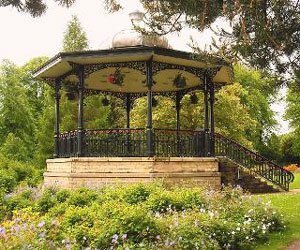 The Pavilion Gardens are a beautiful Victorian jewel in the heart of the town, encompassing parkland and a series of venues including Buxton Opera House. Buxton Wool Gathering will be held in the Octagon Room. 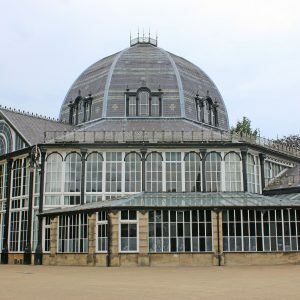 Originally a concert hall, this Grade II listed building is one of the largest eight-sided rooms in Europe. There is on site Pay-and-Display parking of approximately £5 for the day, although it is free for blue badge holders. 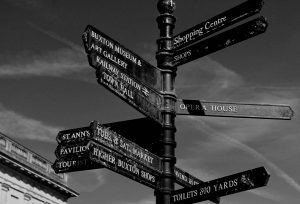 Further parking can be found throughout Buxton, also on a Pay-and-Display basis. The venue offers full disabled access to the Octagon Room as well as disabled parking bays, with disabled toilets accessed by Radar key. Food and drink will be available from the café, restaurant, and coffee shop on site. Please note there is no cash machine on site. While many stallholders will provide the opportunity to pay by debit and credit card, not all will and smaller purchases will need to be made by cash. We suggest bringing plenty of cash with you. However, there are cash machines in Buxton town centre for you to use. You can pay for tickets on the day in cash or via card. If you have any questions we suggest you contact the venue directly. Buxton is on the A6, southeast of Stockport and Manchester, and in the northern part of Derbyshire. Buxton has frequent train services to Manchester and Stockport provided by Northern Rail and Virgin. http://www.nationalrail.co.uk/. The railway station is a five to ten minute walk to Pavilion Gardens, which is clearly signposted. For information on bus services, please see High Peak Buses, Traveline, and Derbyshire Buses. You may also find this map helpful.